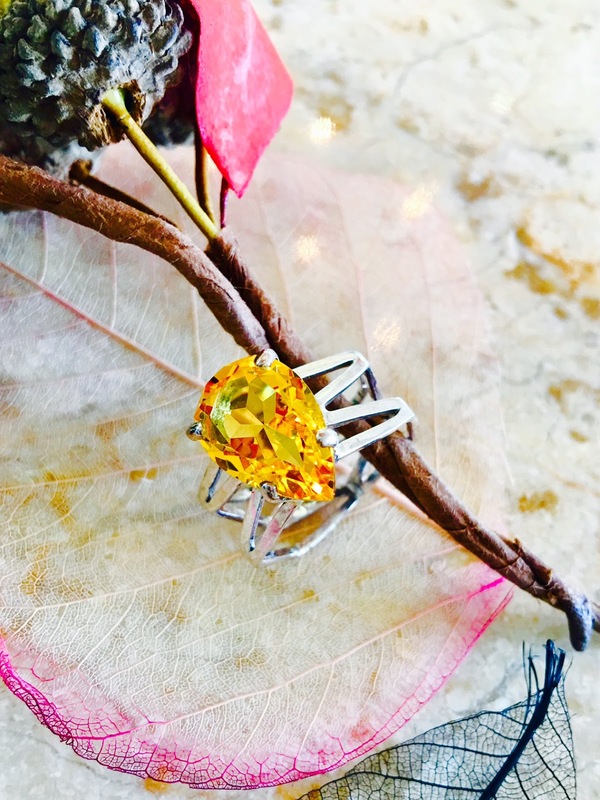 The Earring Collection: Discovering Citrine: a beautiful gemstone to brighten your days! 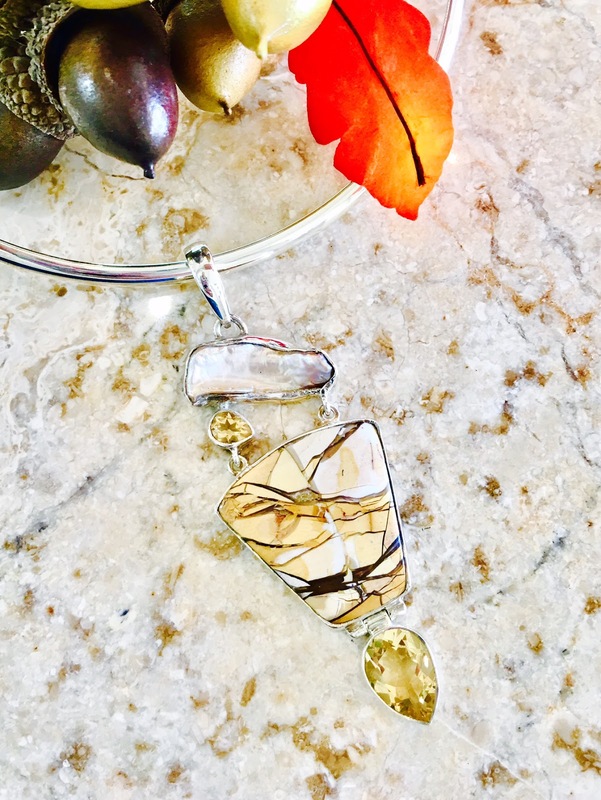 Discovering Citrine: a beautiful gemstone to brighten your days! 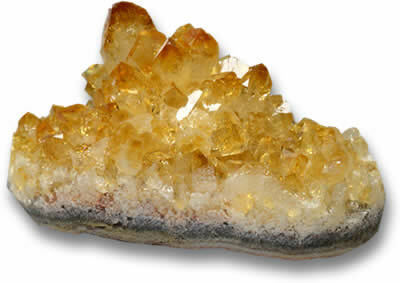 Citrine is a wonderful and rare gemstone, originally from Southern Brazil, with a colour ranging from almost orange through to a distinctive beautiful pale yellow. 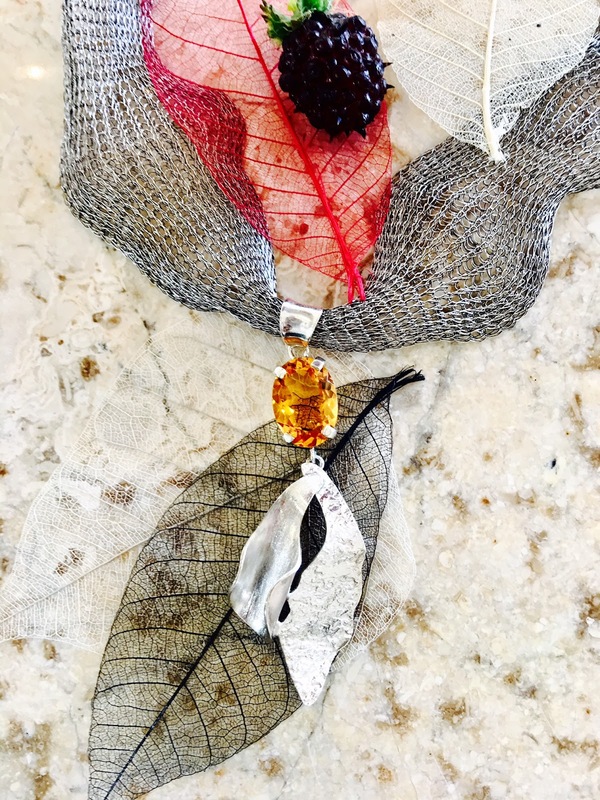 This versatile and elegant gemstone is a perfect match with dark eyes and hair but can be worn by all. 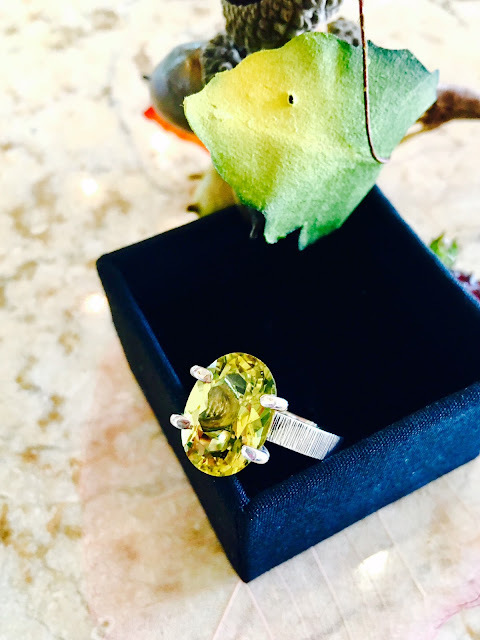 We have a wonderful collection of Citrine & Sterling Silver jewellery - rings, earrings, pendants and bracelets - in store and ready to be worn! Below is a small selection of what we have now, come and visit us to discover more! Big Citrine & Sterling Silver ring, £112. 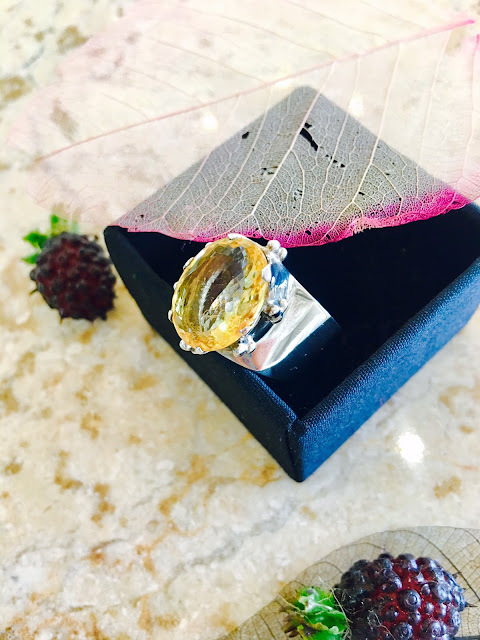 Wonderful Citrine in Hallmarked Sterling Silver ring, £238. Citrine in Hallmarked Sterling Silver bracelets, £ 360 (left) and £228 (right). 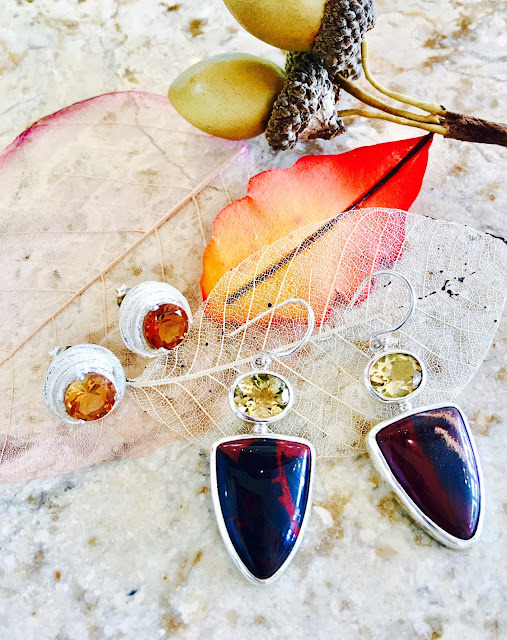 From left to right: Citrine & Sterling Silver stud earrings, £72; Citrine and Jasper in Sterling Silver drop earrings, £148. 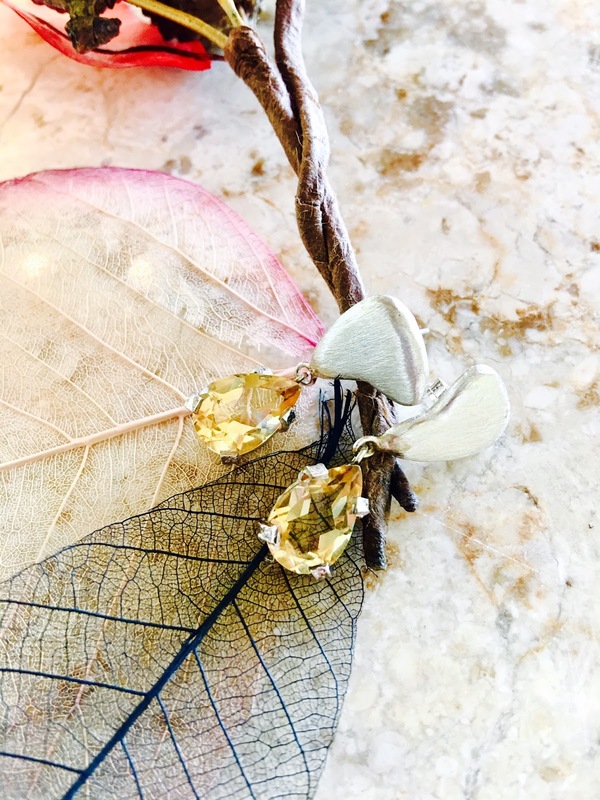 Beautiful Citrine & brushed Sterling Silver earrings, £86. 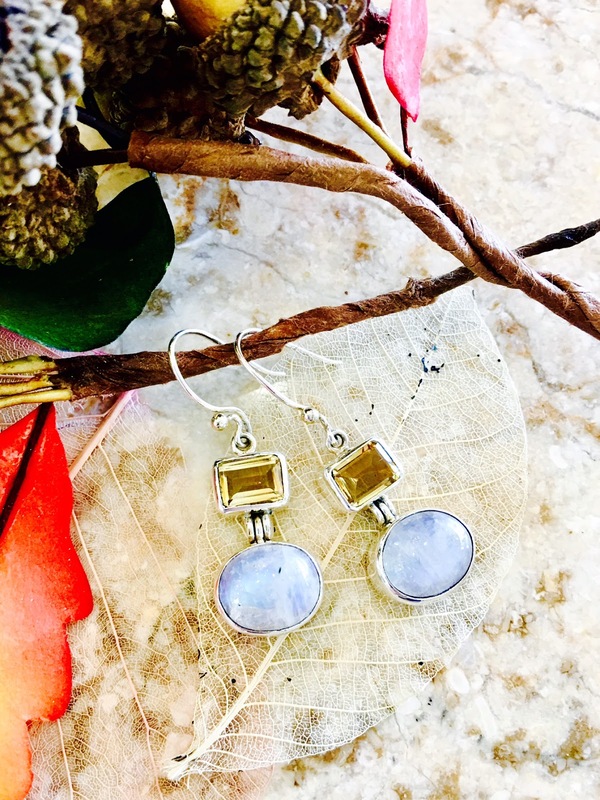 Citrine & Moonstone in Sterling Silver drop earrings, £86. Citrine & brushed/hammered Sterling Silver pendant , £220, a one-off and hallmarked piece. Alluminium Mesh with Sterling Silver clasp, £26. 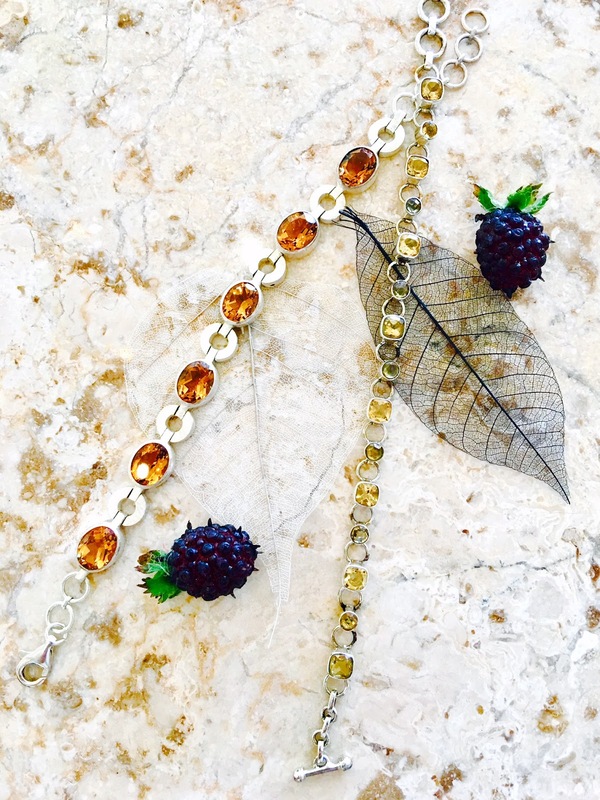 an unusual one-off piece. Now in store. Have a brighter beginning to your year!